In all my years as a sleep coach and as a mom, this is one of the most common questions I’ve heard new moms being asked. Often, though not always, the question is posed to actually mean: “Are your forcing your child to fit your routine, or are you going with the flow of your child’s needs?” And even though this question is about a feeding schedule, it often also implies a sleep schedule. This one simple question can be so polarising, and can cause a lot of mom-guilt. I mean, what if my kid ends up with an unhealthy attachment because we have a routine?! I don’t actually think it’s that simple. It’s not just about either my needs or my child’s needs being met. Like most things, there has to be a healthy middle ground – a “both-and”. So mama, I’m here today to give you MY take on when to start implementing a day routine and why I think a healthy day rhythm actually helps you meet your child’s needs. 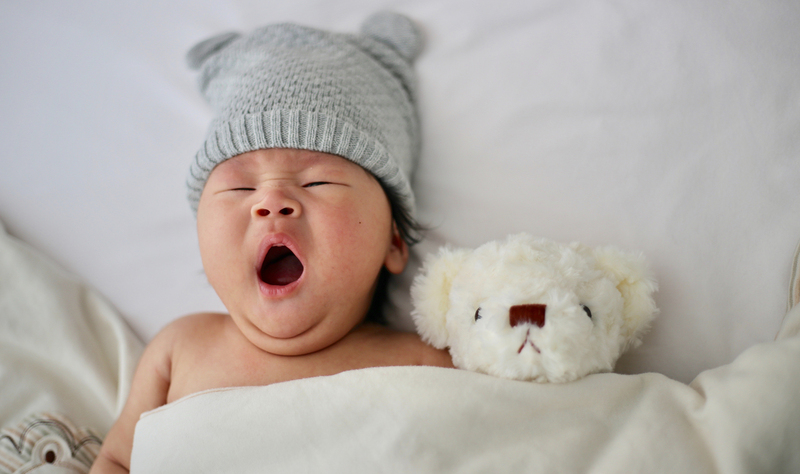 Does a newborn need a sleep schedule? When your little bundle first arrives, I recommend an almost completely baby-driven rhythm. 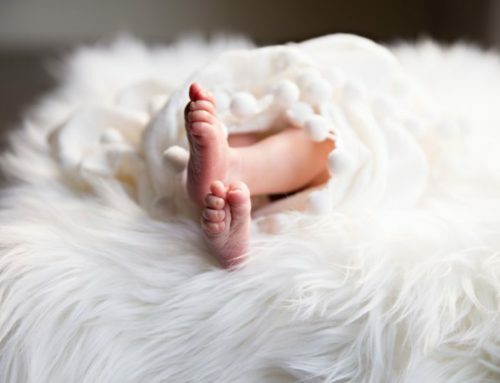 When a baby is born, his or her world is turned upside down and can be an overwhelming place full of new smells, new experiences, and new people. The most important thing during the early days is to give your newborn a sense of security and closeness, letting them know that they are loved and looked after. #1 Don’t let baby get overtired, keep to the age appropriate awake time. This will help baby to be calmer, cry less in general, and it will ensure that baby is getting enough sleep for healthy growth and development. Whether this sleep happens in your arms, in the baby wrap, the stroller, the bassinet or the side-cot doesn’t really matter! (Here’s a great method for helping your newborn fall asleep with less fuss.) 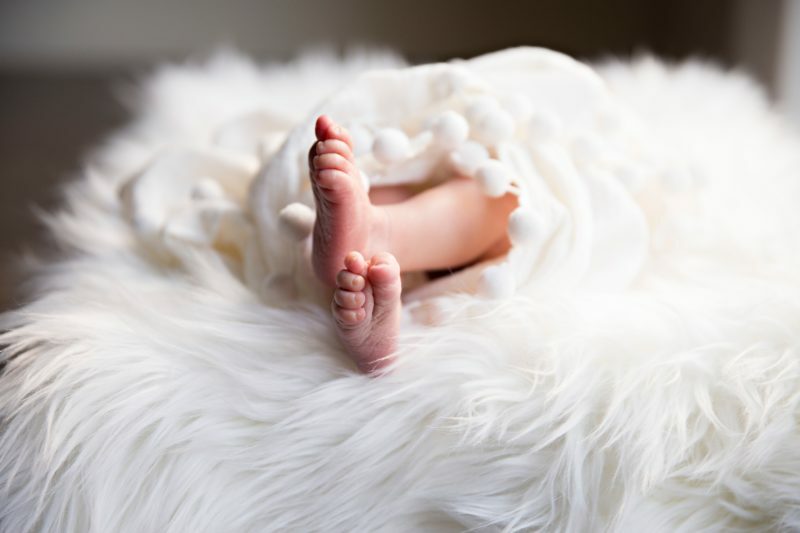 Enjoy your precious new bundle and all those snuggles (don’t you just love the smell of a newborn baby?)! #2 Let your baby sleep when they want to. The only exception to this rule is if your baby has a habit of being awake for a long time in the night. In this case, DO wake your baby every 3 hours to feed for the first 2-4 weeks throughout the day. This helps prevent day-night confusion. 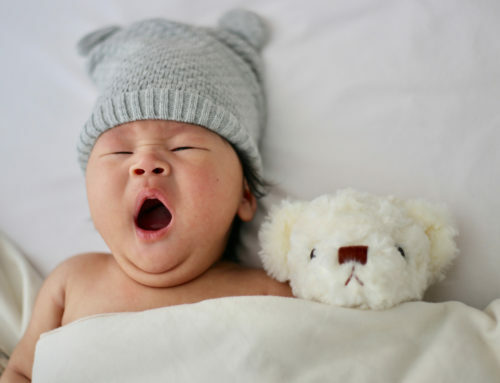 If baby does a 5-6 hour nap during the day without a feed, the likelihood is that he will wake more often to eat during the night, when you’d like to sleep. Making sure that baby is eating at least every 3 hours during the day encourages any longer chunks of sleep to happen at night. When and why to introduce a sleep schedule? As your baby gets closer to the age of 6-8 weeks, I recommend encouraging your child toward a more regular day routine. Why? 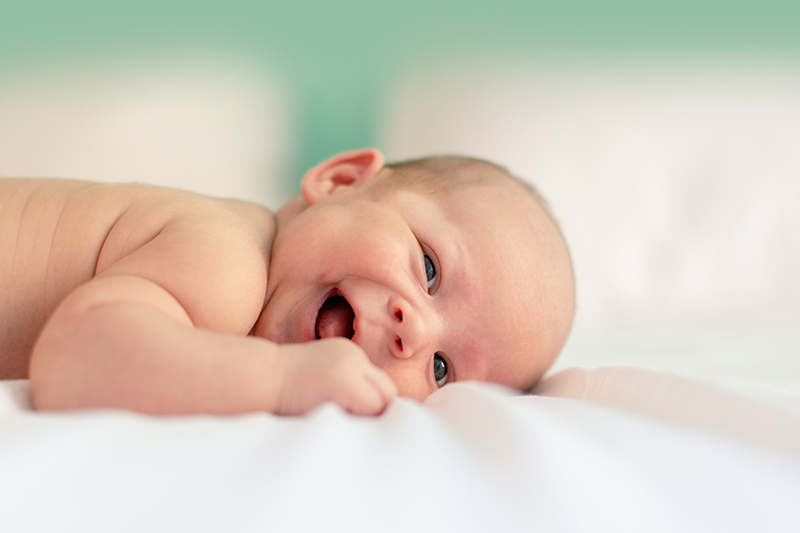 Having regular naps about the same time each day helps to regulate your baby’s circadian rhythm. This means that they are more likely to be tired at those times, and falling asleep will be easier. This means less fuss for baby going down, and less stress for mom. A day routine can help distribute your child’s overall day sleep in a balanced way across their day. I recently talked to a mom whose 6-month-old did a 2-3 hour nap in the morning at 9:30am, but then struggled with catnapping the rest of the day till bedtime at 7pm, and then woke frequently during the night. 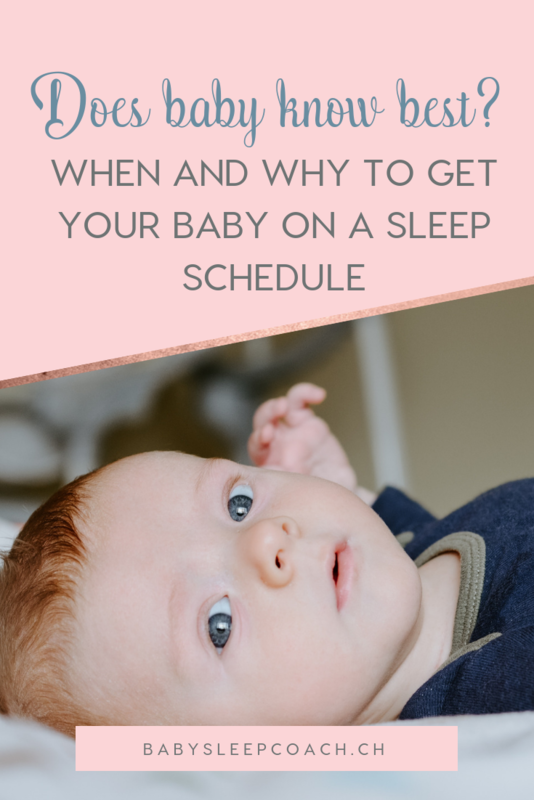 The unbalanced distribution of sleep means that while this baby is getting about the right amount of sleep over the entire day, he is actually getting overtired by bedtime, resulting in disturbed night sleep.A day routine (yes, even waking a sleeping baby to cut a nap short if necessary!) can help to appropriately distribute your child’s day-time sleep in a way that is going to support your child’s night-time sleep to be the best it can be for their age. Your baby relies on you to prioritise their sleep for them. 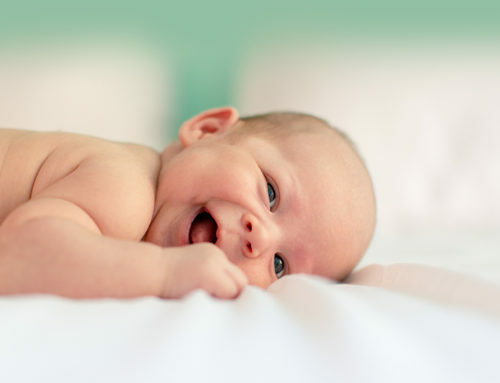 It depends a lot on temperament, but often babies after about 3-4 months of age don’t sleep on-the-go as easily as they did as newborns. They have a hard time filtering out stimulation themselves, and may get overwhelmed and overstimulated. This can make sleep very hard to achieve – resulting in an overtired and grumpy baby. Of course, your day routine doesn’t have to be strict to the minute. Some parents choose to start their day at the same time, some like to play it by ear and base each day’s schedule on when baby wakes up in the morning. The important thing is to make sure the schedule allows your child to get the rest and nutrition they need at every given age. 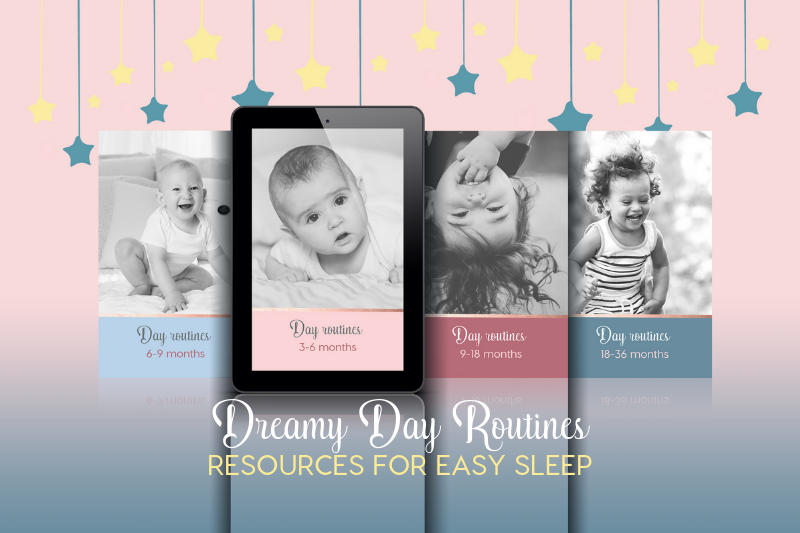 No matter whether you prefer a set schedule or an approximate routine, the Dreamy Day Routines guidebooks can help you create a balanced, age-appropriate day rhythm for your child that meets your child’s needs and fits into your family’s lifestyle. Need more hands on help with your baby’s sleep? 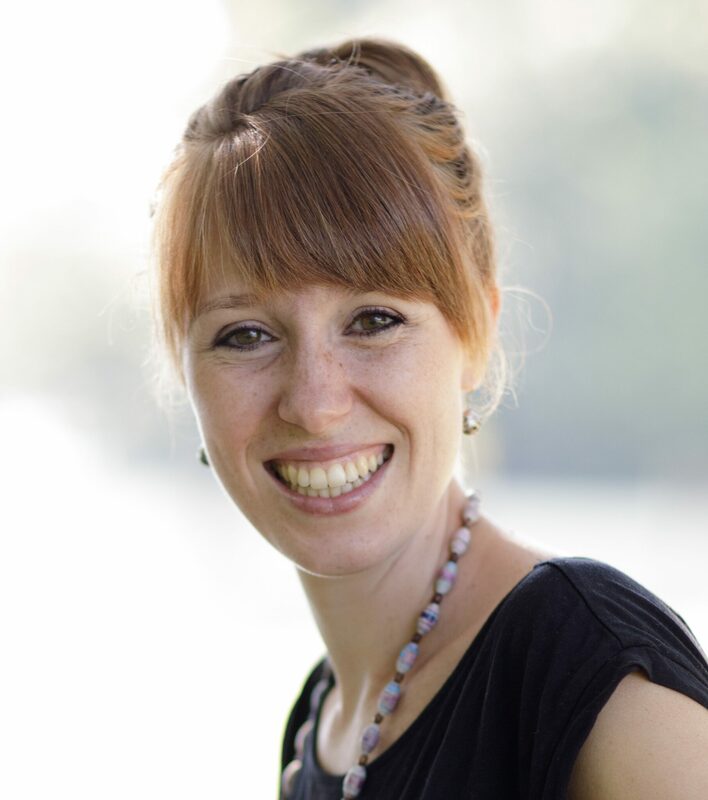 Book a complimentary 15-minute sleep consult with me!